Accidental spills of petroleum or crude oil into the sea cause widespread damage to marine ecosystems worldwide. The most notorious component of crude oil is a group of chemicals collectively known as Polycyclic Aromatic Hydrocarbons (PAHs). They are toxic and highly persistent pollutants, causing mortality and physiological damage in marine plants and animals. They can even enter the human body through the food chain and trigger genetic mutations and deadly diseases, such as cancer. The fundamental components of energy fixation in marine ecosystems are tiny microscopic plants known as phytoplankton. They range from minute photosynthetic bacteria to larger organisms of several micrometers in size. These autotrophic organisms produce organic compounds from carbon dioxide in the presence of sunlight through the process called photosynthesis. This primary production by phytoplankton forms the foundation of the marine food web. Therefore, any impact on the abundance and function of these critical organisms can have enormous consequences on the entire marine ecosystem. In a recent study, we assessed the toxic impacts of two PAH compounds in natural phytoplankton communities in the Red Sea, a unique tropical marine system. The tested chemicals, Phenanthrene (C14H10) and Pyrene (C16H10), are the most abundant PAHs toxicants found in natural seawaters. We measured the in situ variations in abundance of the photosynthetic cyanobacteria Synechococcus and picoeukaryotes after exposure to a range of these chemicals at various stations. We additionally investigated the spatial distribution of PAH sensitivities of these organisms along the Red Sea basin. Our results show significant adverse effects of PAHs on growth and abundance of the studied phytoplankton. At the highest dose (500 μg/L), more than 90 % reduction in growth was observed, which is supposed to have serious impacts on the overall ecosystem. Pyrene was more toxic than Phenanthrene while picoeukaryotes exhibited higher sensitivity to PAHs than Synechococcus. The extent of impacts on growth varied randomly across various locations in the Red Sea. In general, we found that phytoplankton populations in the northern region of the Red Sea were more tolerant to hydrocarbon pollutants. The northern region of the Red Sea has lower nutrients content (oligotrophic) than the southern region. However, several petroleum-related industrial plants are located along the northern Red Sea coast of Saudi Arabia. Therefore, the release of oil-derived pollutants to the seawater is presumably higher in this region. This led us to conclude that due to chronic exposure to petroleum-pollutants, a natural selection of more resistant populations must have occurred in the community in the northern region. The adaptation and selection of most resistant genotypes ensure the survival of tiny phytoplankton in the northern region, where background levels of petroleum-derived contaminants are higher. In comparison with the toxicity data from other oligotrophic oceanic regions, Red Sea phytoplankton showed higher tolerance to hydrocarbon pollutants. One can assume that pre-selective adaptation of phytoplankton in the Red Sea act as a mechanism behind the evolution of their resistance to PAHs. In this study, we postulate that PAHs induced reduction in growth and abundance can have severe impacts on the overall primary productivity. A better understanding of the extent of such effects is essential to address the actual ecological impacts of oil pollution in marine environments. 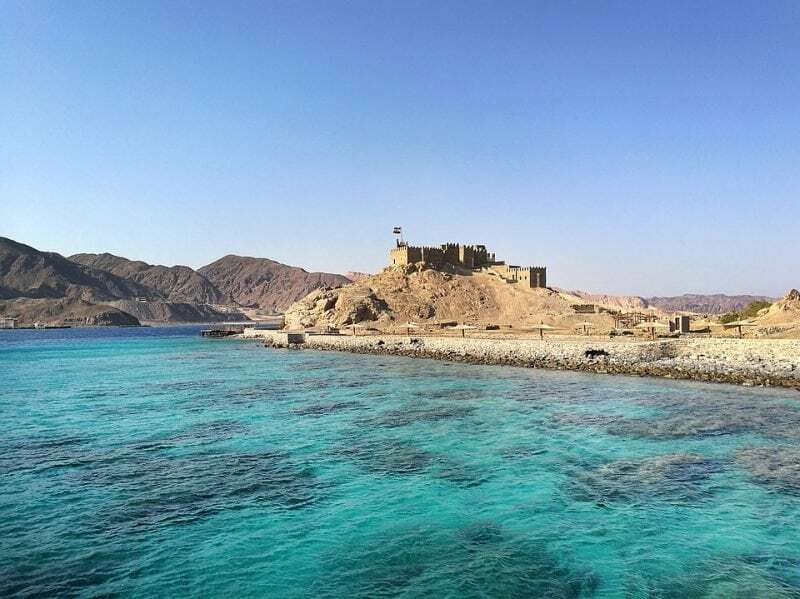 These findings are described in the article entitled, PAHs sensitivity of picophytoplankton populations in the Red Sea, recently published in the journal Environmental Pollution. This work was conducted by Sreejith Kottuparambil at the Biological Oceanography Lab led by Professor Susana Agusti from King Abdullah University of Science and Technology (KAUST), Saudi Arabia. Sreejith Kottuparambil is a researcher at King Abdullah University of Science and Technology in the Red Sea Research Center. Their research focuses on Photosynthesis, Ecophysiology, Chlorophyll Fluorescence, and Toxicity Tests. A central theme of his current research is the investigation on toxic effects of Polycyclic Aromatic Hydrocarbons (PAHs) in phytoplankton in the Red Sea.